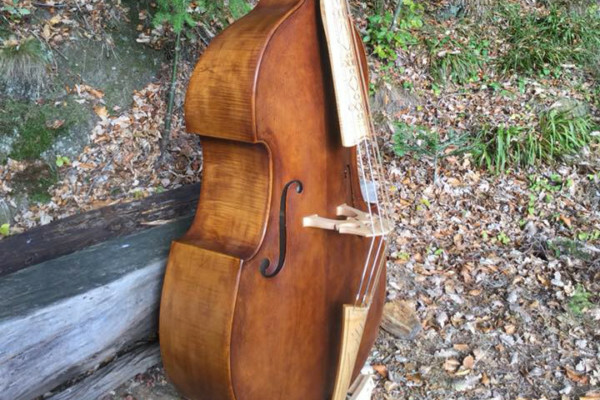 While there are certainly deals out there, an upright bass can cost. Even a “student model” plywood bass, properly set up, can easily set you back around $2000 US. The prices only go up from there. Needless to say, most of us would like to protect this investment. 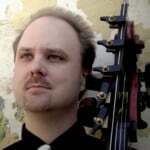 The suggestions below are a continuation of Basic Care of Your Upright Bass: Part 1. When you travel locally with the bass, always have the case on. Tempting as it may be to simply throw the instrument in your car and go, the case will keep minor damage from occurring en-route as you load and unload the instrument. It also helps protect against thermal shock. You know, when it’s 68 degrees inside and 101 degrees outside. If possible, invest in a case with substantial padding. Hard cases are considered to heavy and bulky for local travel by most, but if you are flying, or if you are placing it in with amplifiers, etc., you may wish to consider such a case. Watch your tuners when traveling. 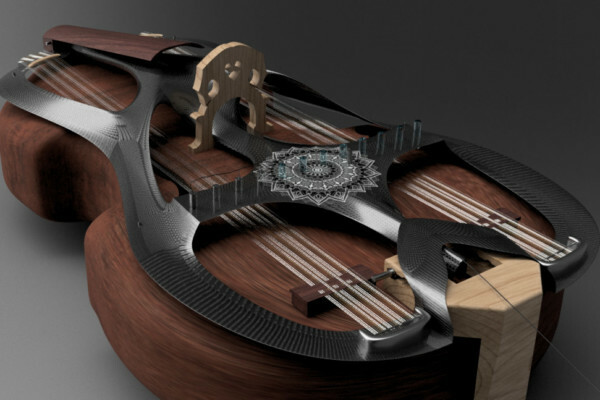 Many a tuner has been bent or otherwise damaged when loading and unloading a bass from a vehicle. Take care. Although metal, it doesn’t take much to bend them. If you are putting the bass into a hatchback, or loading through the trunk (boot) make sure the instrument is clear of the descending door. I have seen more than one bass with a hole in the side caused by a door latch which came crashing down through carelessness. If you use a bow, invest in a bow case. Bows are fragile things and need protection when travelling, even locally. The pocket on your bass case provides almost no protection. A bow case is not expensive and will protect your investment. Most bow pockets on bass cases are made to accommodate bow cases anyway. If you don’t have a sturdy bass stand, store the instrument by laying it on its side in a no-traffic area. It may be tempting to prop a bass up in a corner, but basses do fall from this seemingly stable position. Leaning the bass on a chair is also unstable. Don’t do it. Either invest in a good solid wooden bass stand, or lay it on it’s side. As mentioned earlier: Put your endpin all the way in when laying the bass on the ground. Bass players look for endpins that stick out. Pretty much no one else does. Not only might you gash a leg with an endpin, a quick passerby can set your instrument a spinning and a flailing by knocking the endpin with their shin. Massive damage may ensue. Unless you have had some training in instrument repair, don’t fix open seams on your own. Properly repairing a seam requires special glue, not available at your local home improvement store. Many luthiers make their own glue. Unless you have granules and a glue pot lying around, you probably don’t have immediate access to the proper type of glue for a seam repair. The glue used on seams is strong enough to hold the bass together, but weak enough to give under the right circumstances. Why? An open seam is generally a good thing. If a seam opens up it generally means there has been some stress (i.e. an impact, temperature shock, humidity shock, etc.) that has caused it. If the glue at the seam didn’t give, then the wood itself would. In short, an open seam usually means you avoided a more problematic issue of cracked wood. This is why, although you may be tempted to superglue that darn seam so that it doesn’t open up again, you shouldn’t do so. Not only will it increase the likelihood of cracks to the wood, but it will make future repairs problematic, to say the least. I know a bass where the owner nailed the top into the sides. This pretty much guaranteed that the top would stay attached. It also ensured that no one could ever do significant repairs without destroying the instrument. Don’t be that person. Don’t nail the top of your bass down. Don’t ruin a piece of history. Good luck finding anything playable for $2,000 these days, even a garden-variety plywood model is very dear…. 2) A bow in the pocket of a cheap case will damage your bass’s finish over time as it knocks around when traveling. 3) Never ever put anything sharp-edged in your music pocket of your bag. Seems like a no-brainer but if you have sharp-cornered objects in your bass bag, you’re asking for damage when you lay the bass on it’s back, like when putting it in a car. 4) If you must lay your bass on its side, do so in a place where people are likely to be walking. Don’t hope that people will see something large on the floor and walk around it. They don’t. I came close to killing a conductor who tripped over my bass, and this was in a very well lit rehearsal hall. Also, when laying the bass on its side, make sure the floor is clean of debris. I played a show one time and was setting my bass down during intermission and sure enough there was a small pebble on the stage, and that quick I had a hole in my bass. 5) Fixing open seams is not rocket science. You can make your own clamps out of threaded rods, tubing and wood washers. I use hide glue, which is water soluble. Use it sparingly when gluing – as you tighten the clamps the glue will squirt out and then you’ll have a mess on your bass, plus if you have wood washers on your bass, you’ll glue the clamps to your bass if you’re not careful (don’t laugh – been there, done that). 6) I prop my bass up in a corner when home. It’s a carpeted floor and I drape a towel over the bass where it touches the wall to protect the finish. The bass is also blocked from sliding away from the wall by a piece of furniture. If you do prop your bass in a corner on a slick wood floor, put a chair or something behind it to keep it from sliding out. 7) And lastly, to protect your bass from crowds as you’re leaving the gig, get a squeeze type bicycle horn and put that sucker on your bass bag. I can’t tell you how many times I was battling a loud crowd full of people knocking into my bass. After a few polite “excuse mes” I start hitting the bicycle horn. It works better than Moses parting the Red Sea, and I’ve never had a negative reaction from anyone once they get over the initial shock of being honked at.